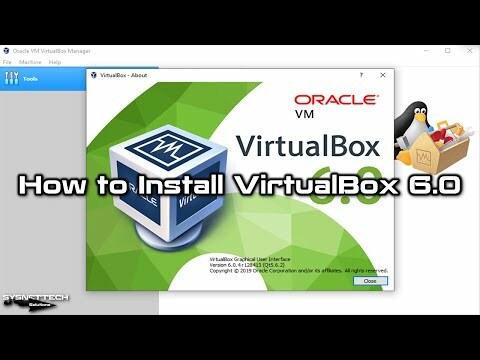 This video shows you how to install Oracle VM VirtualBox 6.0.6 version on Windows 10. Step 1: First, download the program for Windows to your computer by visiting the following site. Step 2: After downloading the virtual machine software, run the .exe file as an administrator. Step 3: Click Next in the setup wizard. Step 4: Click Next to continue the installation without making any changes to the Custom Setup. Step 5: Create shortcuts for the program. Step 6: Click Yes in the Warning: Network Interfaces window. Step 7: Finally, click the Install button to start installing VBox 6.0.6 on Win 10. Step 8: After completing the setup, run the program. Step 9: After you run it, you must install the Extension Pack. In the same way, visit the Oracle website and download the Extension Pack 6.0.6 software. Step 10: To install Extension Pack 6.0.6 on Win10, double-click on the .exe file and complete the installation. Step 11: After you install Oracle virtualization software on Win10, you can run multiple virtual machines on your computer.